TriSTAR / Re: 2019 TriSTAR? Attached are the RCR 2019 Schedule and Mailable Registration Form. Thanks to Don and Cathy Payne for all their efforts as event hosts! River City Ride / RCR 2019 Online Registration Now Open! Member registration is still only $30! We had a fantastic weekend in Mountain Home. The weather was little overcast and cool on Friday, however the rest of the weekend was picture perfect. 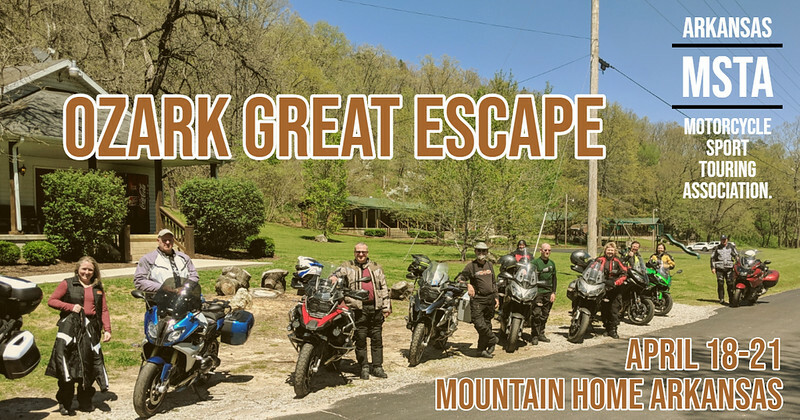 The riding was amazing and the fellowship among motorcycle enthusiasts was even better. I will be doing a ride report as well as a video from the trip. I also have some wins and some opportunities from the past weekend, so I will elaborate on those in a future post. If you have any thoughts, ideas or just some positive criticism, shoot me a note so we can make next years event even better. Until then, check out the gallery below. If you have some pictures from the weekend and would like them included, just send them to me. If you need my e-mail address let me know. Hope you like the pictures. Stacie and I will be there! Welcome Mat / Re: Hi from Chicago! Welcome to the club! I hope to meet you at an event soon. GPS Talk / Re: Shopping for a "travel" PC that holds up on the road. Regarding a card reader, you can get one that works via USB, my brother Richard showed me a cool one he got (forget where, he might remember) that took a micro SD card (slides right into the USB plug). That should work well for transferring files, less so for regular use (may stick out some). My ASUS tablet has an SD card reader and I use it frequently to get videos off the GoPro cards. But it did did not have a USB port, does have a micro USB plug (used for power as well) and I bought a cable to plug USB in, mostly used for a USB flash drive (again off loading videos or other files). Since it is not windows it did not work with a USB hard drive (or was taking too long trying to scan it for content). One lesson I learned was to do a bit more research, this tablet came recommended by a friend and has been a great tool. But I found after buying it that the version of Chrome cannot be updated. That has not presented any problems in the 5+ years I've been using it, it has the apps I need, I can still get on most websites and such.